This page provides general information about the CSA if you are just learning about our CSA membership. Step 1: Fully read this page. Step 2: Click on this registration link to take you to the registration page. 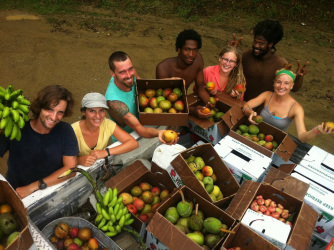 Ridge to Reef Farm was proud to offer our 19th CSA season, started March 2018 finished in June 2018 in St Croix! Buy a share in the territory’s only USDA Certified Organic farm and reap the benefits of investing in local food for your family and island community. All of our produce and fruit are 100% Organic, 100% GMO free. Our eggs are sourced free range, naturally raised chickens with no antibiotics or hormones. The coffee is organic (not certified), shade grown from real farms in Puerto Rico. The pigs are pasture raised and fed all purpose grain, and organic food scraps. Our sheep are 100% organic, graze freely and are not fed any grain. Shares are limited and we expect them to fill, so please register and make your payments early! 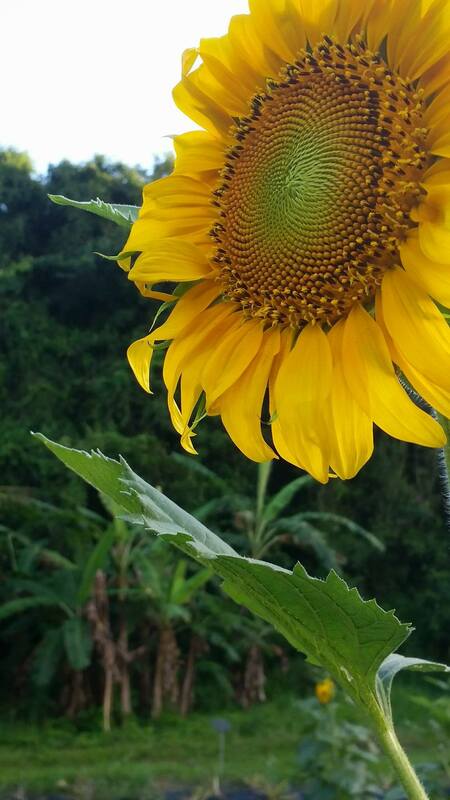 Here's your chance to get a wide range of delicious high-quality food from the only certified organic farm in the USVI. Grown with love, and engineered to provide a balance of things for your daily kitchen use. Membership includes bi-weekly newsletter with recipes, stories, and explanation of crops you receive. We also have a la carte meat sales which will vary every few weeks of the CSA season. More info will be sent upon registering :). THANK YOU TO OUR GENEROUS PICK UP LOCATION HOSTS! Also! CSA members get a free night stay on our farm for the season they are registered. March 9, 2018 to May 26, 2018. *Please note that for this Winter/Spring 2018 CSA, it is only available in St Croix for this season. Crops- If all goes well, the mixed produce share can carry several varieties of these: arugula, tatsoi, mizunza, red mustard, kale, lettuce, eggplants, okras, seasoning peppers, jalapenos, bok choy, chinese cabbage, summer squashes, carrots, cucumbers, watermelons (it is a mixed share so you can occasionally get fruits as a nice surprise in your box), parsley, dill, basil, lemongrass, green onion, garlic chive, and more! We hope to have have tomatoes, lettuce, broccoli rabe, radishes, beets, and corn too. We try to expose your tastebuds slowly to featured unique local produce of the seasons you may not be familiar with either but are really good to know and to get to know. The fruit shares (when available) definitely changes season to season. Throughout the year it will feature fruits like soursops, avocados, mangos, pomelos, bananas, pomerac, wax apples, passionfruits, eggfruits, tamarinds, starfruits, genips, sour oranges, lemons, limes, mesples, star apples, black sapotes, sugar apples, custard apples, papayas, gooseberries, suriname cherries, acerola cherries, green coconuts, dry coconuts, breadfruits, breadnuts, jackfruits, watermelons, hog plums, September plums, Java plums, jo jos (jojubes), and many more! Talk about eating seasonally! You taste the most seasonal differences with the fruit share.